Enjoy a warm welcome home as you relax in front of the Amish Seneca Electric Fireplace with Remote. This lovely Amish electric fireplace unit will host cozy evenings at home with its remote controlled flame display. Create the focal point in any room with the Seneca Electric Fireplace taking center stage. Hidden casters make it easy to move from room to room. The Seneca is shown here in maple wood which is hard and strong with a fine, even, uniform texture. 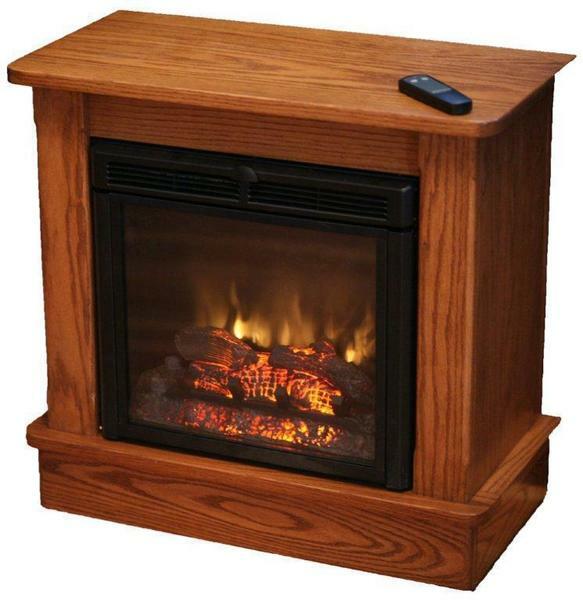 This Amish electric heater fireplace is made in America in your choice of solid hardwood. Our Amish made heaters allow you to enjoy all the benefits of a fireplace without the standard maintenance. Take a look at our collection of Amish Fireplaces to find the one you like best. We also offer corner fireplaces to fit your space. Please call us with any questions at 866-272-6773. We are always happy to assist you.